Good travel without good food is not that good a travel at all. Especially when talking about Greece with its mouth-watering rich cuisine that the gourmands and gourmets all over the world never fail to praise. There is a rationale to that, we all know it. Fresh cheeses and yoghurts, high-quality olives and olive oils, Mediterranean and Aegean seas grilled fish and seafood, delicious breads, savoury vegetables... Healthy-lifestylers and trencher-men, vegetarians and meat-lovers, paleo-eaters and wheat-fans, everybody will find something to their taste in the diversified Greek cuisine. Imagine you have had a misfortune to come to Greece just for a couple of days instead of at least one week and have to chose the top dishes not to miss out. Here is a hint. Probably the most well-known Greek dish after the Greek salad. 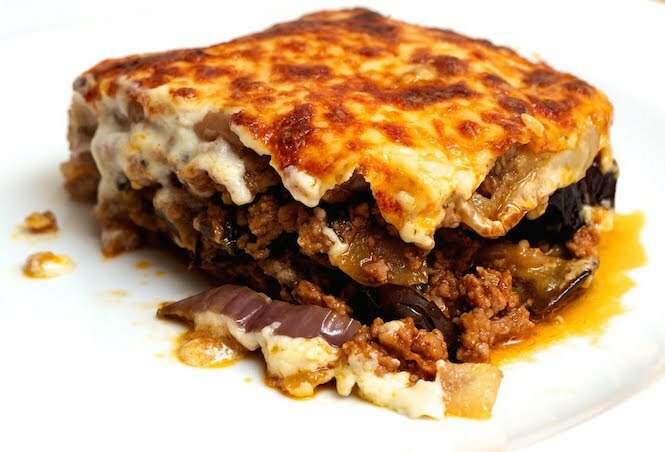 The traditional moussaka is a casserole of layered eggplant, minced meat, tomato sauce, onion, garlic, spices, cheese and bechamel topping. 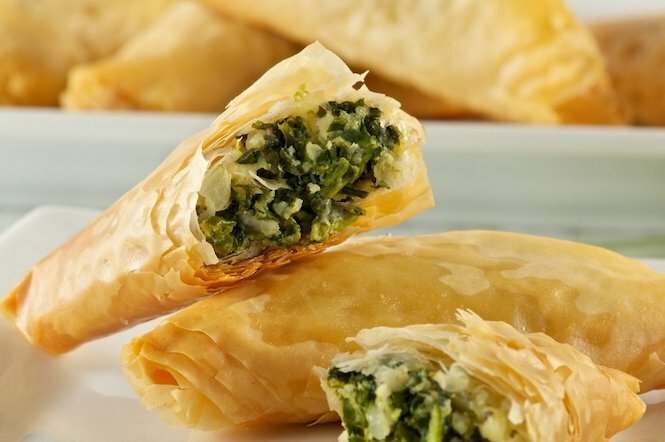 Filo pies stuffed with chopped spinach, onions, egg, feta and seasoning. You can find them in all the shapes one can imagine. 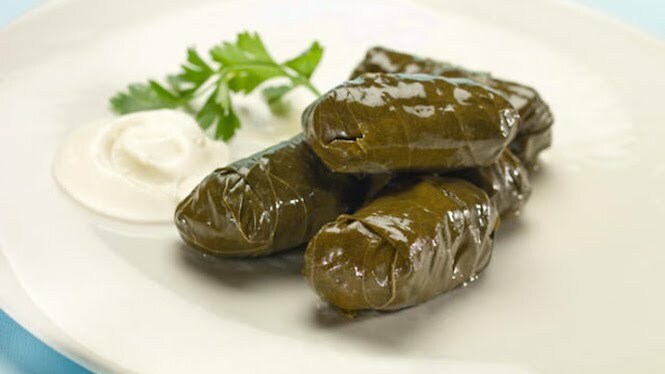 Grapes leaves rolls stuffed with rice, pine nuts and herbs, though other fillings are available. Can be served warm or cold. 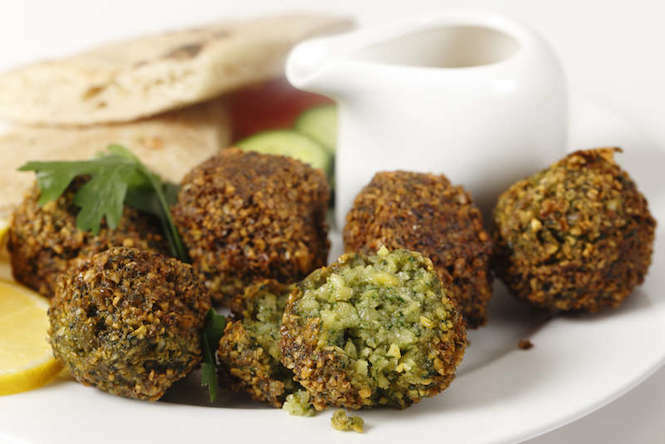 Chickpea fritters with authentic spices. Pretty much often they are ball-shaped. 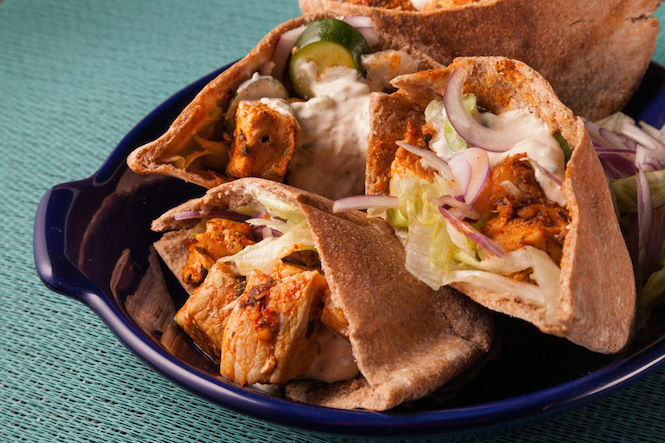 Grilled meat skewers that can be served as such or wrapped in some pita bread and served with some garnish and sauce. And do not forget about another important piece of your travel, your accommodation. Enjoy our collection of luxury villas on Mykonos, Santorini and Andros benefiting form free concierge services.